Non Woven Drawstring Bags, 80 GSM premium non-woven polypropylene string backpack with 1″ reflective stripes, black draw cords, reinforced corner grommets, and carrying handles. 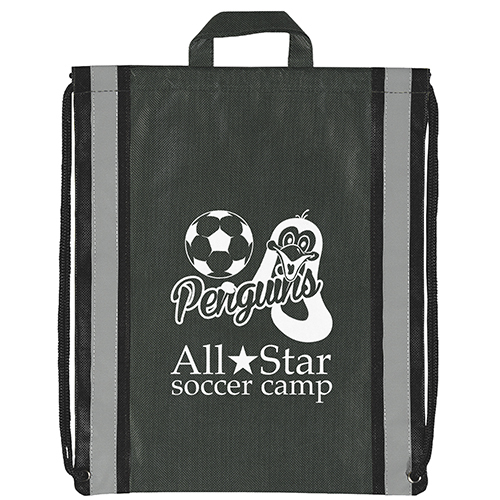 Marco Polo Non Woven Drawstring Bags are made from 80 GSM premium non-woven polypropylene string backpack with 1″ reflective stripes, black draw cords, reinforced corner grommets, and carrying handles. 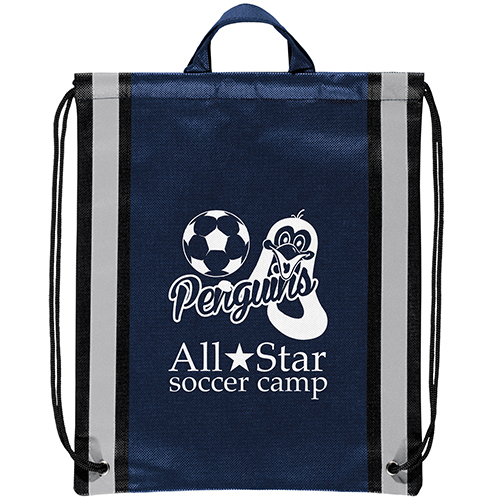 These reusable drawstring bags are a great promotional item. Choose from other options we have here. 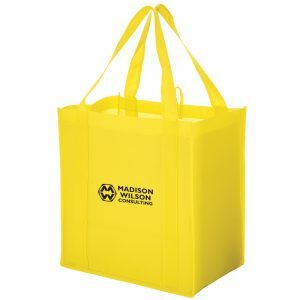 Marco Polo Non Woven Drawstring Bags are made from 80 GSM premium non-woven polypropylene string backpack with 1″ reflective stripes, black draw cords, reinforced corner grommets, and carrying handles. These reusable drawstring bags are a great promotional item. Choose from other options we have here. 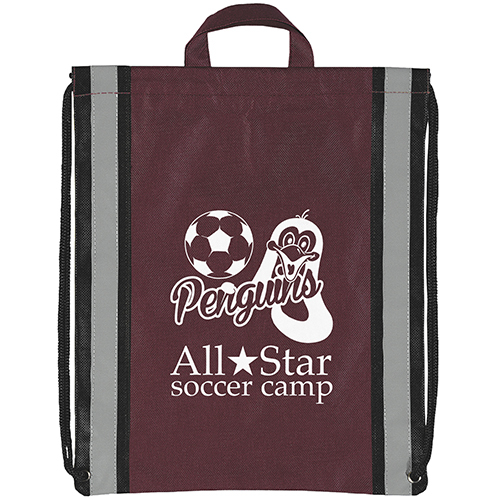 We offer top selling high quality custom promotional tote bags. 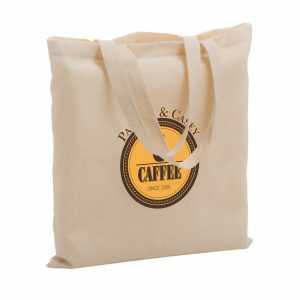 Our company has been producing and supplying superior eco friendly bags and custom promotional products for many years. 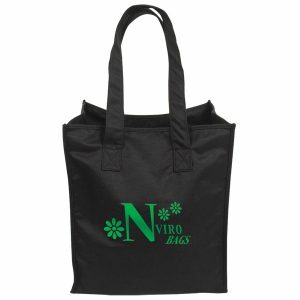 We have the capability to offer low prices because we produce all of our reusable bags and other products. In addition to factory direct pricing, we have the ability to customize each product in order to meet your company’s specifications. 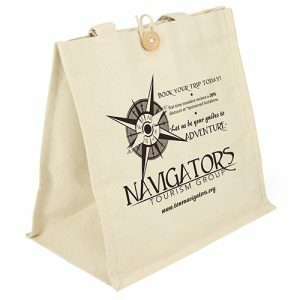 View our complete line of products at customgreenpromos.com. At Custom Green Promos, we aim to be the best in the industry. Our customer service team is knowledgeable, experienced, and here to help. Please call us toll free at 888-565-2235. We will provide you a with a free quote on any of our items. 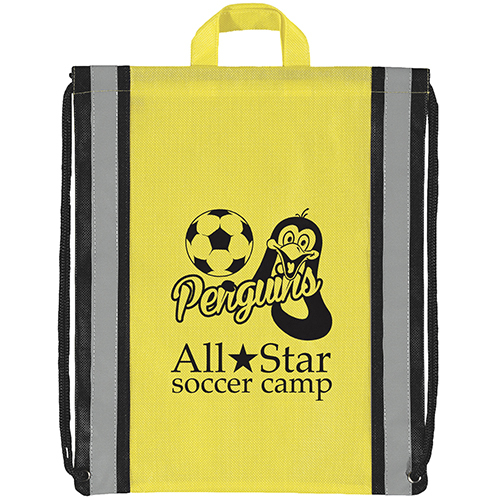 We are a top supplier of only high quality promotional items. 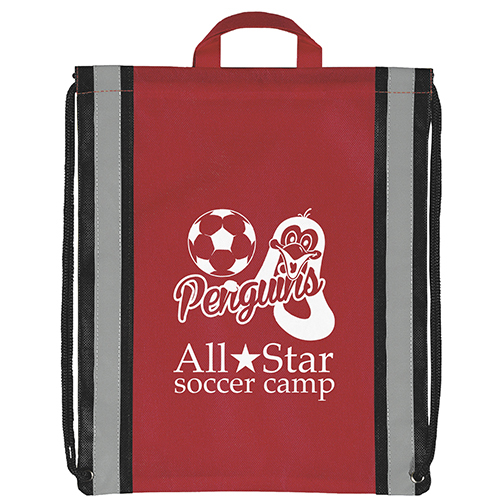 All of our products are high quality and our print work is second to none. 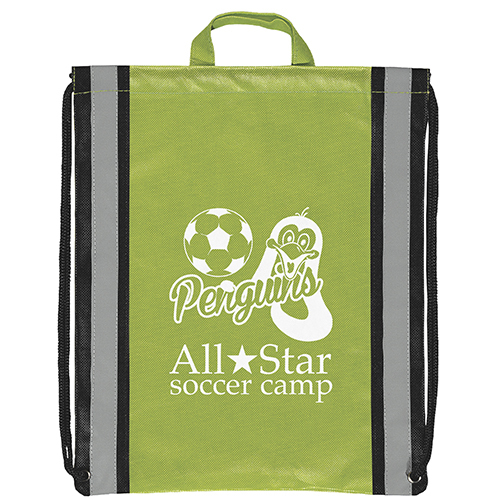 You can be confident when you call upon us to supply your business with promotional items. Call for a free quote today on any of our items. 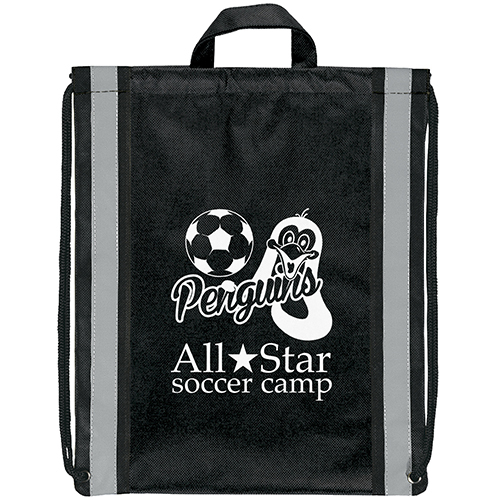 80 GSM premium non-woven polypropylene string backpack with 1″ reflective stripes, black draw cords, reinforced corner grommets, and carrying handles.